With options ranging between 6kw and 2MW, these generators are designed and engineered to support a variety of projects, regardless of the weather conditions or amount of time. 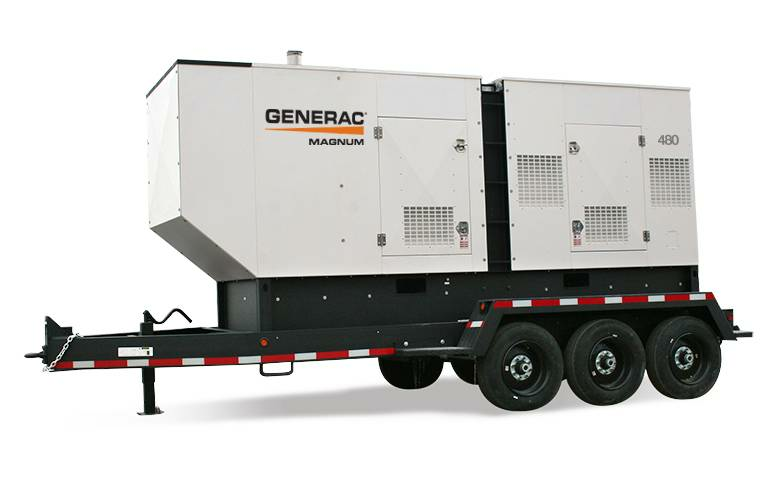 This magnum towable generator for sale uses well gas byproduct as fuel, so that these gaseous generators are able to provide the most cost effective power possible. From Winterization Kits for use in the extreme cold, to flexible management systems, digital controllers and the paralleling capabilities you require to optimize the performance of your work site, these generators are manufactured to deliver the reliable power whenever and wherever you need it. This line of towable diesel generators provides easily movable power to any place you need it. This unique combination of product insight and knowledgeable experience has led to Magnum being named Frost & Sullivan's 2014 and 2015 North American Natural Gas Genset Manufacturer of the Year, leaving you with a company you can trust and dependable products. Check out all of our Magnum power products for sale at Colorado Standby. Don't forget we offer fast and free shipping on all products.